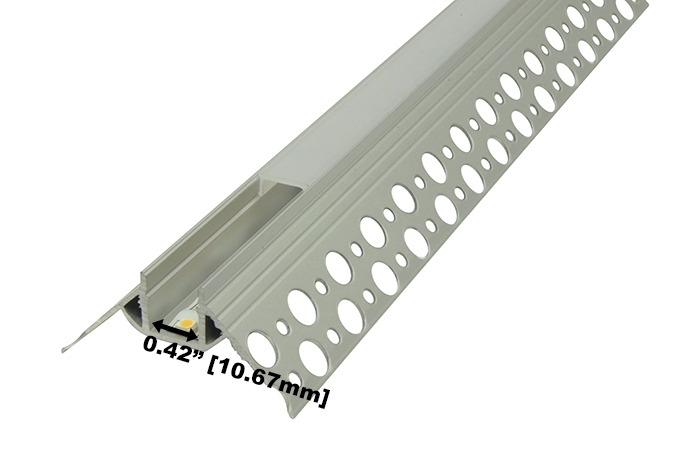 Our Aluminum Profile " DT13", is a slim, low-profile, recessed aluminum extrusion for LED strips that evenly diffuses light when used with our DOTLESS, high-density, LED strips. 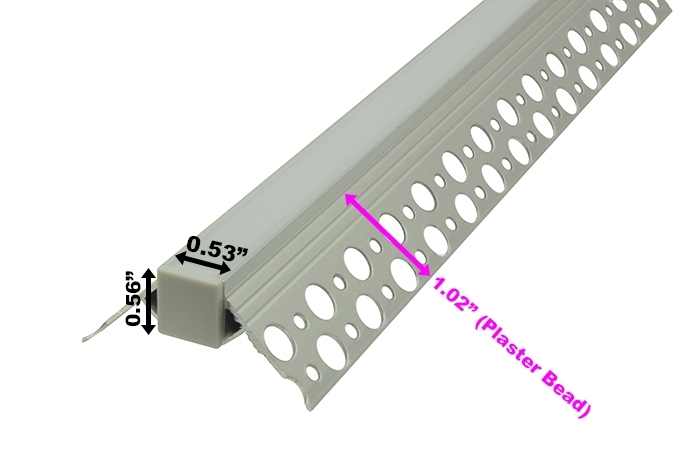 The compact design allows for a seamless plaster-in installation inside 1⁄2" or 5⁄8" drywall without having to modify framing. 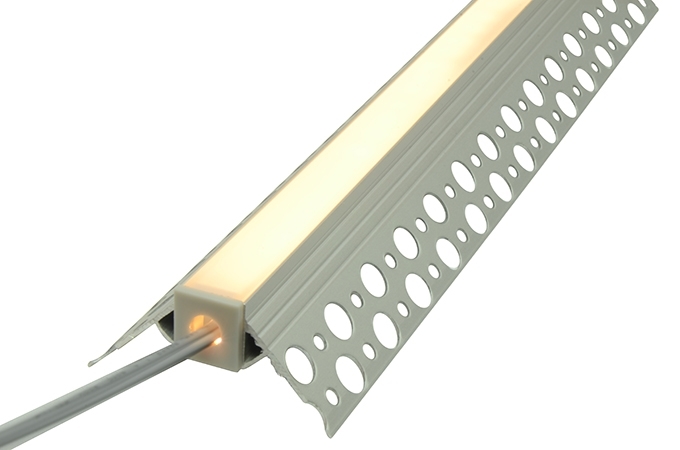 Easily recess in walls, ceilings, and tight spaces or corners to cast beautiful, diffused, and even lighting throughout your space. 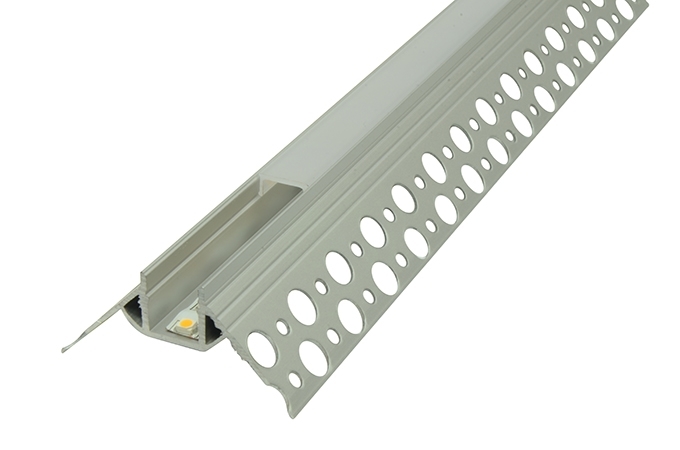 DT13 is a slim and low profile that is recess-able, making it perfectly suitable for discrete lighting applications with low to medium output lighting. The slim and low profile of this channel makes it a perfect solution for use of narrow recessed lighting in ceilings, walls, and application in many other settings in which a flush drywall mount is desired. 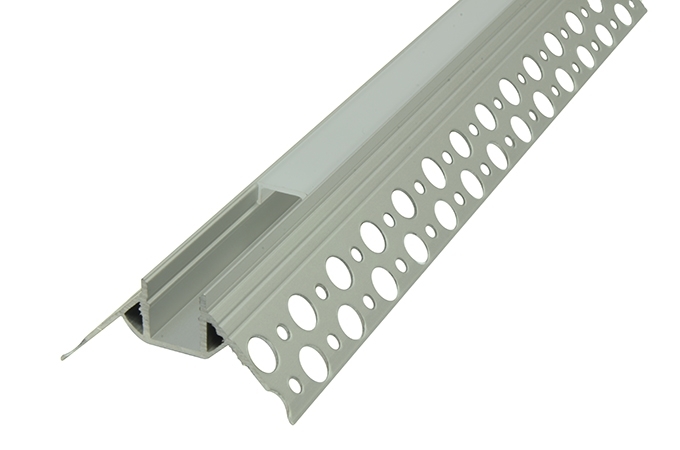 The shape of it makes it perfect for use in corners. 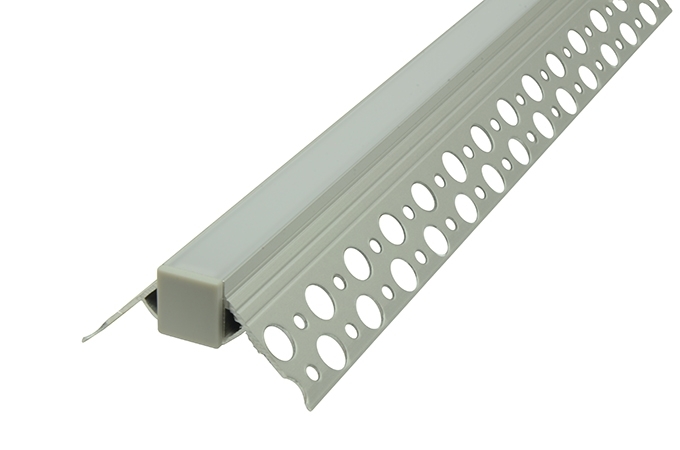 Although intended mainly for indoor use, the channels can be waterproofed making them suitable for outdoor applications giving you even more options for your lighting ideas. 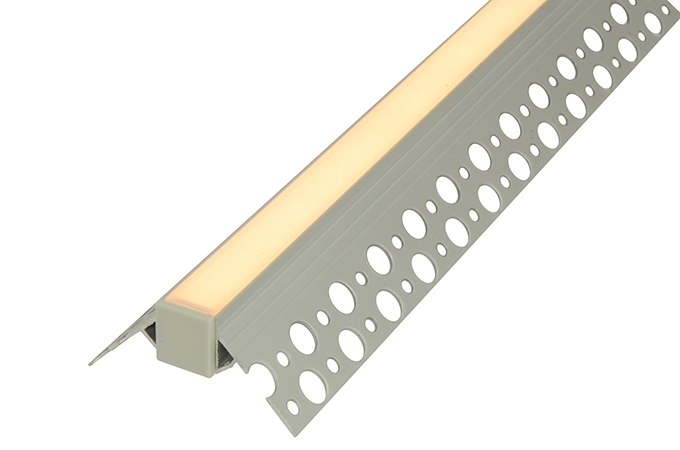 This is the perfect channel for illuminating and accenting areas inconspicuously, having a finish flush to the surface you are putting the channel in.